Magnolia Trees, icons of Spring are an ancient species symbolising dignity and nobility. In ancient China, magnolias were thought to be the perfect symbols of womanly beauty and gentleness. The large leaves are noted for their beautiful form, simple and broadly ovate. 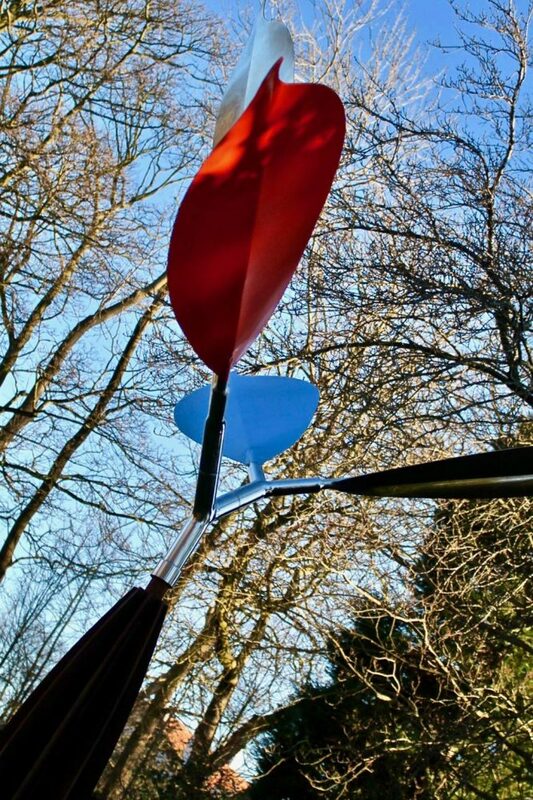 The strong dramatic shape works incredibly well with this piece of Kinetic Sculpture, catching the wind perfectly, rising and falling with a graceful, composed movement. 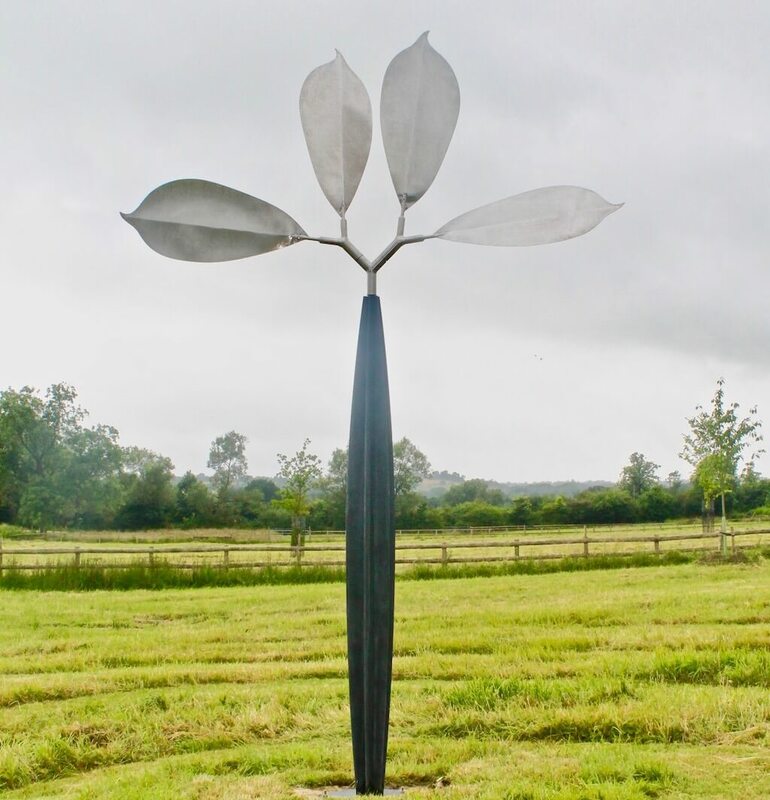 The Magnolia Leaves are made from 2mm aluminium sheet and can be left simple with facets ground into the surface of the aluminium which will reflect the light in an almost holographic way, causing the light to dance on the surface. It is also possible to add colour to the leaves as seen here, carefully chosen by my clients who opted for a beautiful Poppy red and a grey blue on one side of two separate leaves. 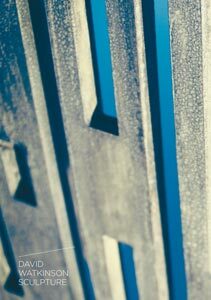 Colour is a wonderful way to really make the piece bespoke. 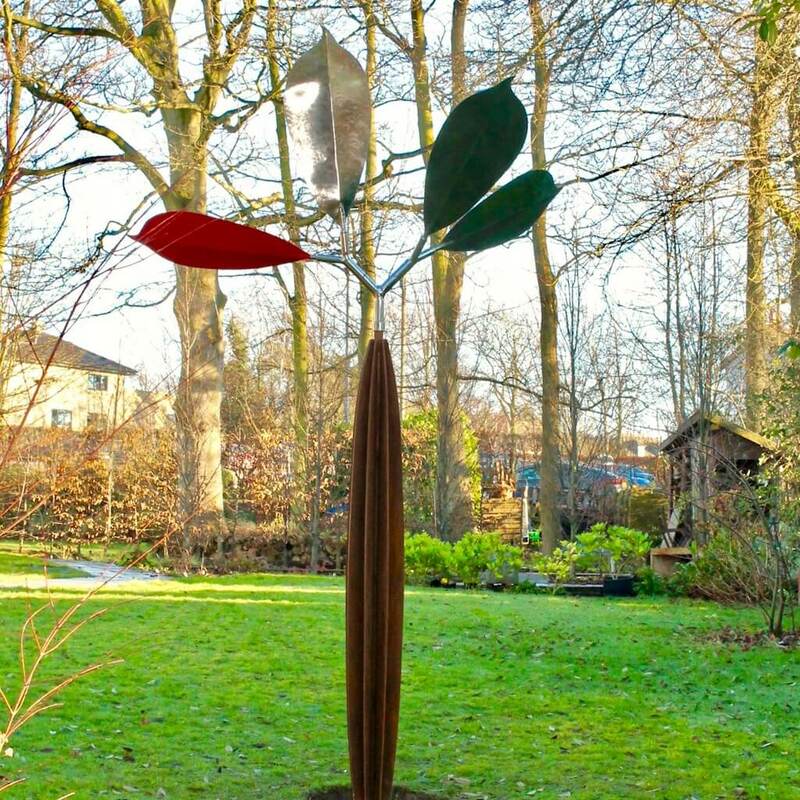 Magnolia Leaf Sculpture is a beautiful new piece of Kinetic Sculpture created by David for 2017. This particular piece was commissioned by a wonderful couple with the intention of adding colour to one side of two separate leaves. After long deliberation, the choice was a vivid red and a subtle sky blue. The results are stunning and David's clients were thrilled!